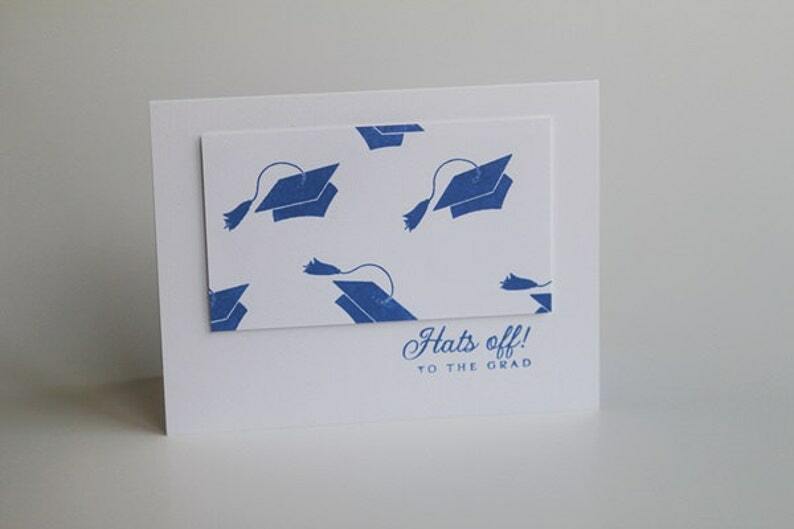 Send congrats to the new grad with this fun hand made card depicting the moment when all the grads celebrate by throwing their caps in the air. Perfect for high school, college or any other type of graduation, these caps work for both boys and girls. The cap image is hand stamped in blue ink to match the hand stamped sentiment. The image layer is raised with dimensional tape to give the card interest and depth. 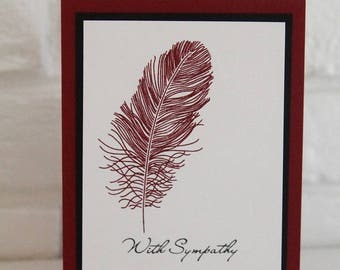 The inside of the card has been left blank for you to add your own words of congrats. **Like the design but want a different color to match the school colors of the graduate? Not a problem. I have lots of inks to work with. Just send me a quick note and I'll try to match up your colors as close as possible. Metric size: 13.97 x 10.80 cm.